Today we are living in the era where people are more intelligent and diligent about health, environment and future. They care more about time saving technology than fancy workings. 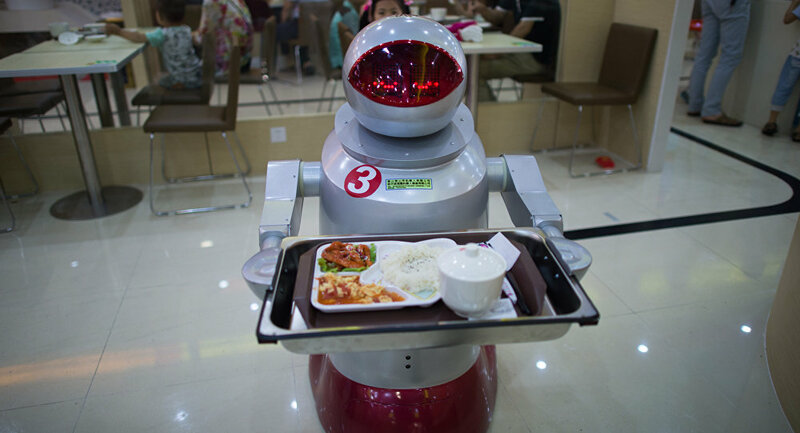 Taking fridges, automating composting gadgets and self-cooking tables are no more the sci-fi things. They are pretty much real! Whirlpool came up with a sassy product which is not only useful but takes you to the Vedic life where the word garbage did not exist. It is a scrap box which converts the food scraps in the counter height machine and in 24 hours a brand new original prime fertilizers comes out. And that’s too without creating foul smell or mess! The machine has been made to take almost all kind of food waste including meats and dairy products which are verboten in traditional composting. It recycles the meats and dairy products into nutrient-rich compost. According to the Zera Home Recycler’s Indiegogo page, in an average American family the recorded creation of food waste creates 400 pounds. The Zera can recycle about 95% of that. Zera has bagged the Best Innovation Award at CES 2017. Panasonic is all set to taking your cooking to the next level with its Flat-Top Cooker. It is not just amazing, but something magical too. There is not restricted region to cook and thus you just need to slide anything you want to cook on the table and it senses the kind and starts cooking. You do not need pots or pans to warm food items but just the serving plates and the Panasonic Flat-Top Cooker. Time to replace the table you bought for dinner. One of the major and common health issues in desk jobs one can found is Gastro-intestinal distress. FoodMarble’s AIRE device is here to help. The app connected gadget is like a breathalyzer test for the stomach gas and has the ability to identify foods that trigger Gastro-Intestinal distress. This will help them to avoid stomach illness in future. At-last the most awaited smart fridges are here. Samsung launched the Samsung Family Hub 2.0. It has been designed to help consumers with cooking, shopping and scheduling their lives. A giantscreen on the door lets you to do online groceryshopping, browse through the recipes and even let you know how long the family members would take reaching home. An addition to it is the camera on the fridge which enables you to see inside, thereby eliminating the need to open the door every time. It has just re-defined the energy saving technology. Isn’t it? Get ready for the JETSONS lifestyle, who knows in near future the food could cook itself on your table, all you have to do is “EAT THE DELICIOUS PASTA”.